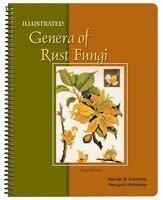 New teaching video explains the life cycle of the fungus Phakopsora pachyrhizi, an aggressive disease capable of causing defoliation and significant yield loss. Selected by the international WorldMediaFestival jury to receive an INTERMEDIA-GLOBE SILVER AWARD! 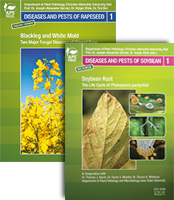 Educators and extension professionals can use this video tool to teach the complex life cycle of the fungus Phakopsora pachyrhizi, an aggressive disease capable of causing defoliation and significant yield loss. 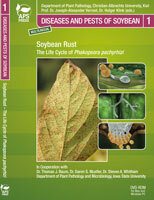 Soybean Rust: The Life Cycle of Phakopsora pachyrhizi is an authoritative presentation of the disease that is found in most soybean growing regions worldwide. Using stunning computer animation blended with real-life in-field videos and time-lapse photography, this teaching video impressively illustrates the life cycle of the soybean rust fungus. Students and extension audiences will gain a clear understanding of the development and epidemiological spread of this disease as well as of measures to control it. Viewers will come to understand the complex interplay of fungal effectors and soybean defense proteins as the video portrays the molecular arms race between the pathogen and its host plant. 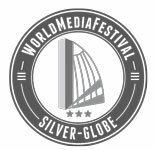 The World Media Festival honours and celebrates excellent solutions in Corporate Film, Television, Web, Web TV and Print productions on a truly international scale in Germany's media metropolis Hamburg. Award winners are among the leaders in their profession. The audio presented on the DVD comes in four languages: English, German, Portuguese and Spanish, all available from the same DVD-ROM. Each DVD-ROM also contains four video files representing different compression formats and will work in Windows and Mac environments. 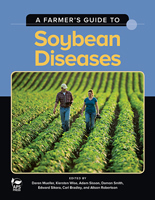 Diseases and Pests of Soybean is protected by copyright and its use is limited. It may be shown to, or viewed by, groups within a classroom or educational presentation setting, but may not be made available via local area network (LAN) without permission (permission for LAN also requires an additional LAN license fee). It may not be copied, or otherwise duplicated to share with other individuals in full or in part. It may not be transferred to the Internet in full or in part. 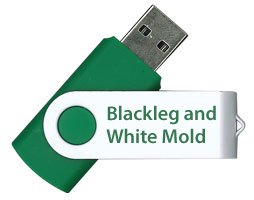 The DVD and its content may not be run concurrently on more than one computer and it may not be networked unless an upgraded Local Area Network (LAN) License is purchased. If a LAN License is purchased, its use is limited to a specific site access and must be controlled to include only staff and/or students at that location. Within the LAN License the videos may be shown with the same privileges as the Limited Use License and also allows the videos to be viewed by students and staff autonomously as long as they are limited to access from the specified single location. If you are interested in a single-site LAN license for this product, the additional cost is $300, please contact aps@scisoc.org. If you are uncertain which license privileges of the DVD you qualify for, please contact aps@scisoc.org. Distribution without the permission of the publishers is prohibited. Infringements will be prosecuted under civil and criminal law.